By integrating the design and manufacturing experiences of energy storage system and EV charger, Phihong recently develops the highly efficient 10kW/20kW roadside assistance DC charger. The product contains 10kW EV DC charger, 6kWh LiFePO4 battery pack (expandable to 20kW output with 12kWh battery pack), intelligent RFID card reader, and user-friendly 10.4″ touch screen. 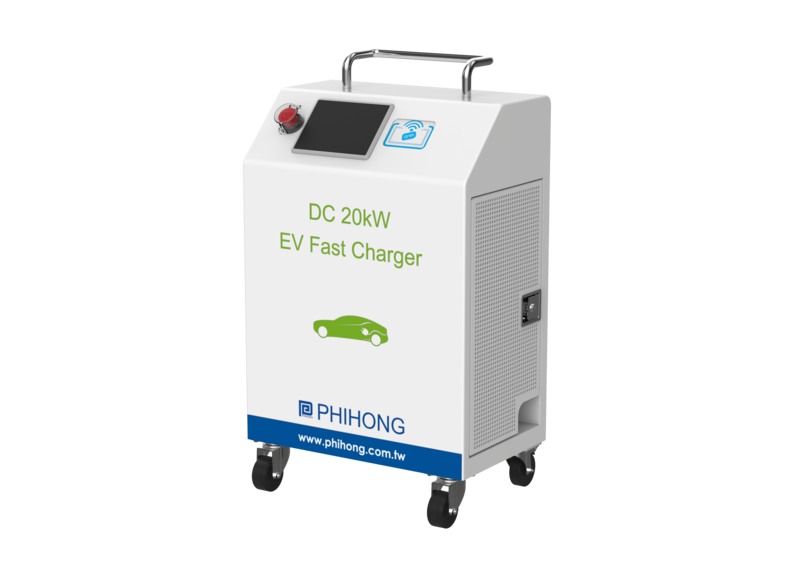 With its compact and movable design, Phihong 10kW/20kW roadside assistance DC charger is designed for EV roadside assistance or EV DC charging in remote areas. Moreover, the product also functions as energy storage system, providing 3.5kW back-up AC power.